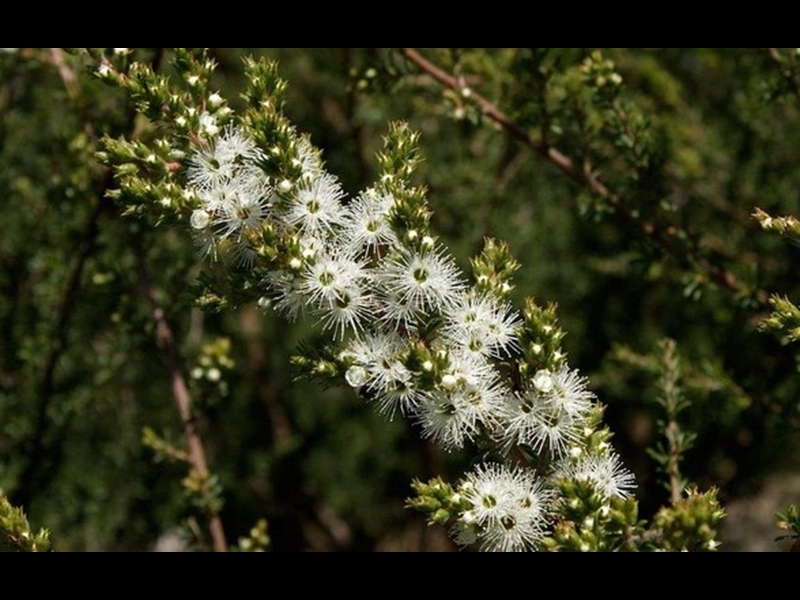 The Australian National Botanic Gardens holds a scientific collection of native plants from all parts of Australia. The plants are displayed for the enjoyment and education of visitors and are used for research into plant classification and biology. 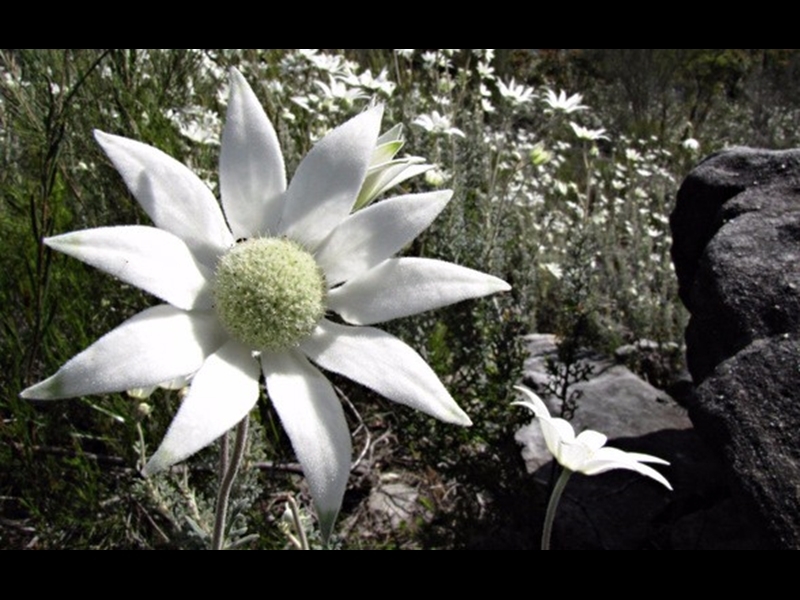 The Gardens also cultivates plants threatened in the wild. This helps protect them against extinction and provides information which might assist reintroduction to their natural habitat. ClimateWatch is a national environmental monitoring program developed by Earthwatch Australia with the Bureau of Meteorology and The University of Melbourne. 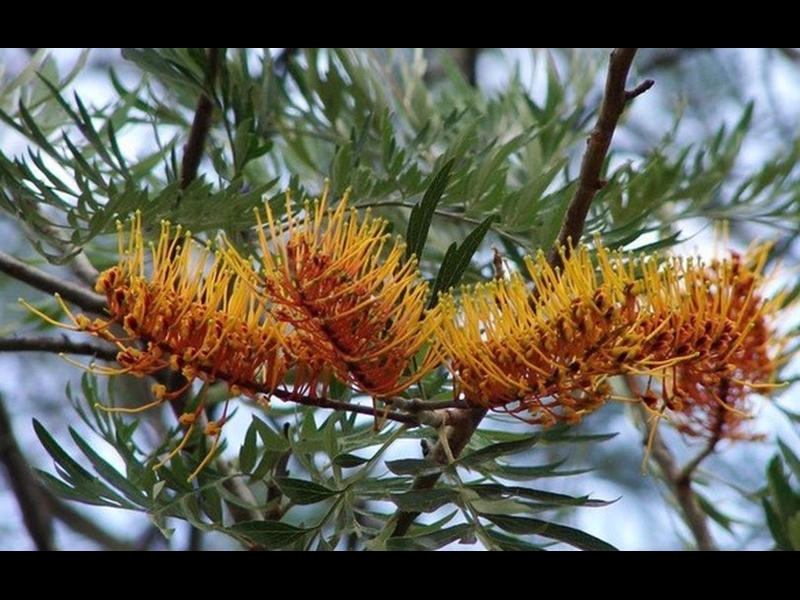 Its aim is to understand how changes in temperature and rainfall are affecting the seasonal behaviour of Australia’s plants and animals.This walk is a ClimateWatch trail, where we ask you to look for different species of plants and animals and record their behaviour and life stage in the name of science. Out of the track, you will have the chance to observe the Actinotus Helianthi. Don't forget to upload the pictures you take on the ClimateWatch app. Continuing on the path, you are going to see a giant tussock-like, rosette plant. 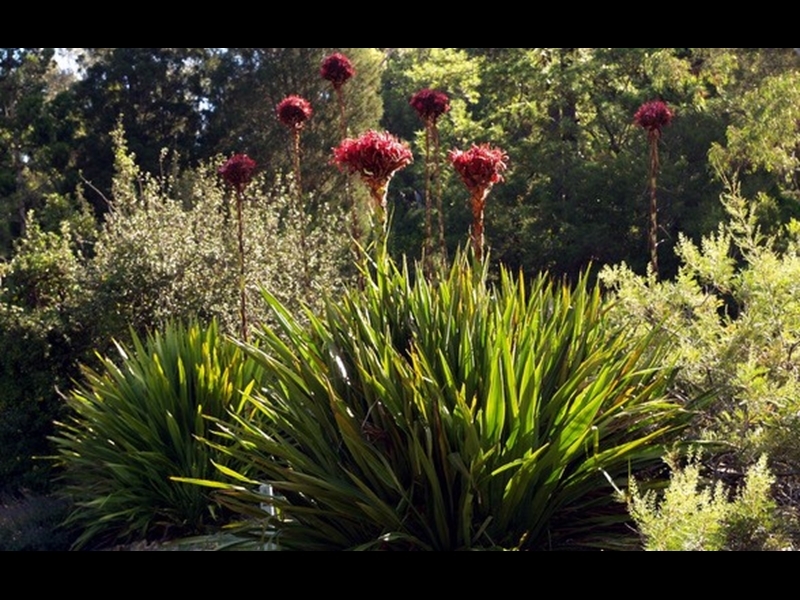 They can reach 5m high with the flower stalk.! 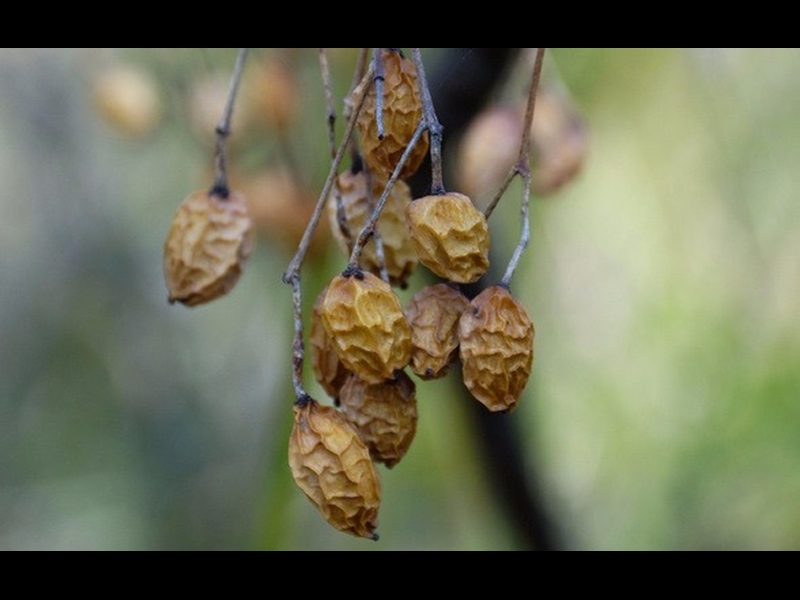 The White Cedar is one of only a few native Australian plants that are seasonally deciduous, although many species drop their leaves during droughts. 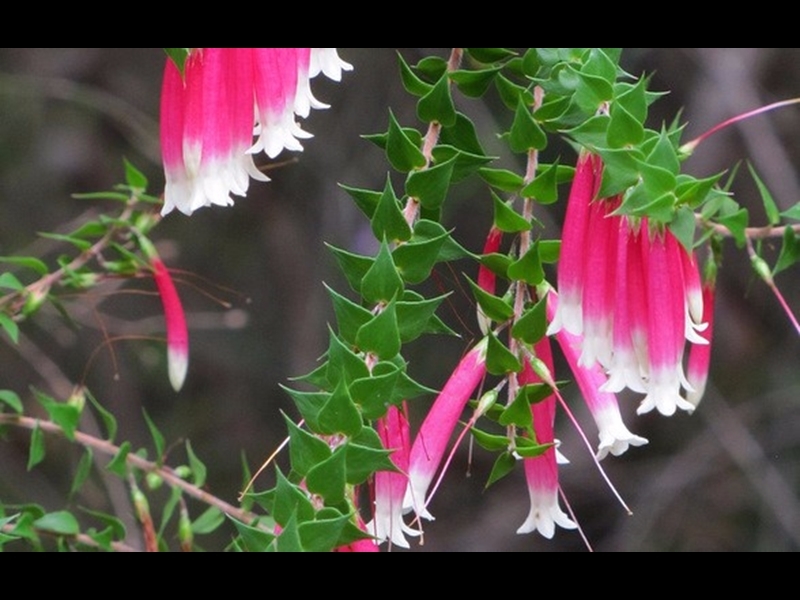 Fuchsia Heath's flowers are long and tubular, some of them have pink-red tubed and white lobes, others are white. Spot them! You might ask what is this? It's not a spider. 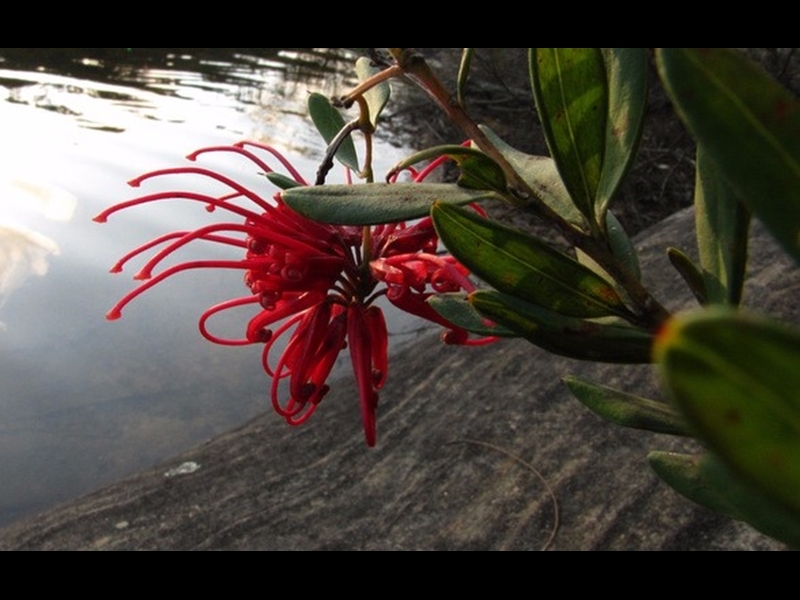 It is a bright red, occasionally pink flower. Its spider appearance explains its name. Keep recording for ClimateWatch app! Listen for frogs. The link below will help you to recognize them and to catalouge them. Have fun! This giant tree is just past the cafe. Silky Oaks aren't related to other oak trees at all but are actually a species of Grevilla and are very popular with birds! 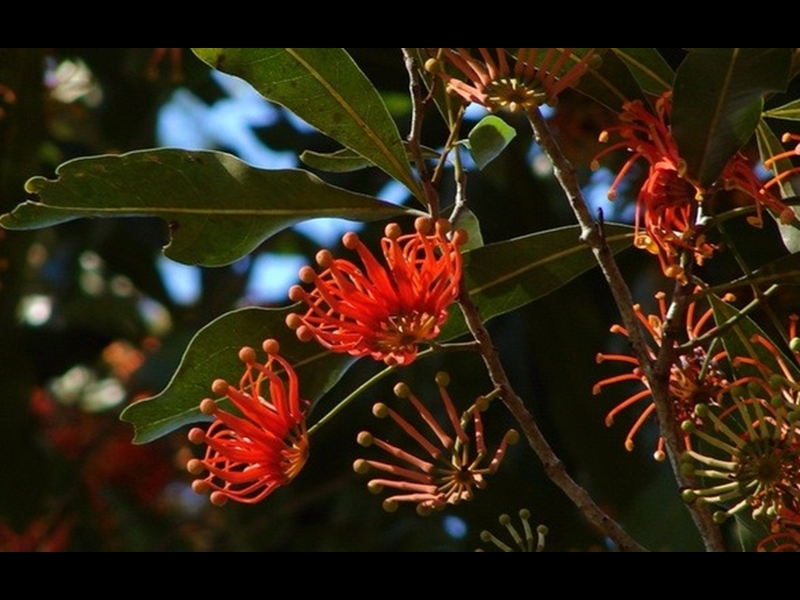 This beautiful native tree on your righ has striking red flowers. Are they out today?